Replace those cold, tired and leaking conservatory roof panels with a new, fully insulated conservatory roof conversion. Our best selling tiled conservatory roof. 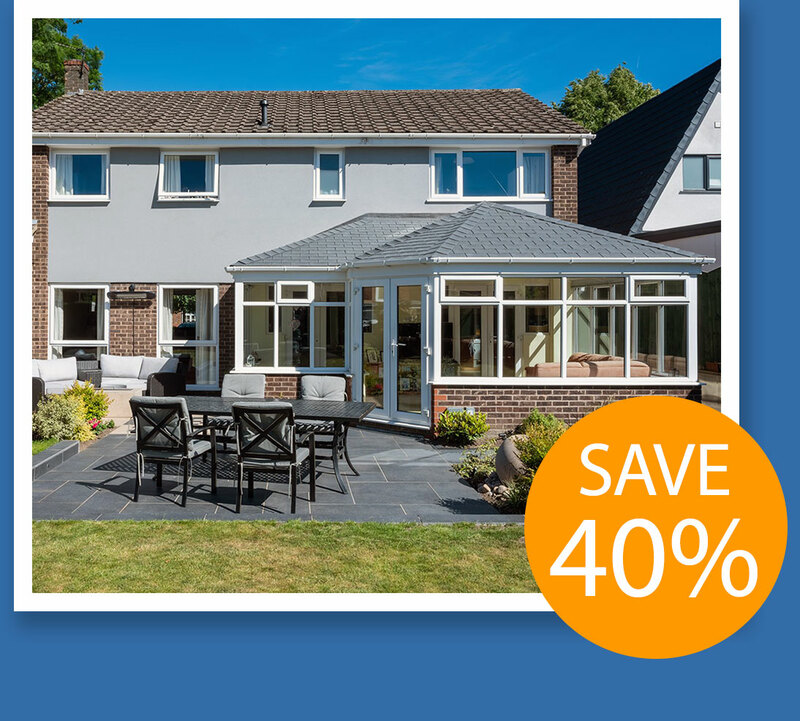 Up to 40% less than the cost of a full roof replacement, each new conservatory roof conversion is building regulations approved, certified and comes with 10 years HomePro insurance. Complete peace-of-mind and a real roof over your head. There really is no overstating the value of a new conservatory roof. This fully insulated, tiled conservatory roof conversion is every bit as good as a full roof replacement but comes at a fraction of the cost. The old panels are removed and the new roof structure is built on the existing frame with pressure treated , timber joists for strength. A waterproof membrane protects the internal roof structure from moisture and high-grade insulation boards lock in the warmth in winter to help save on those heating bills. 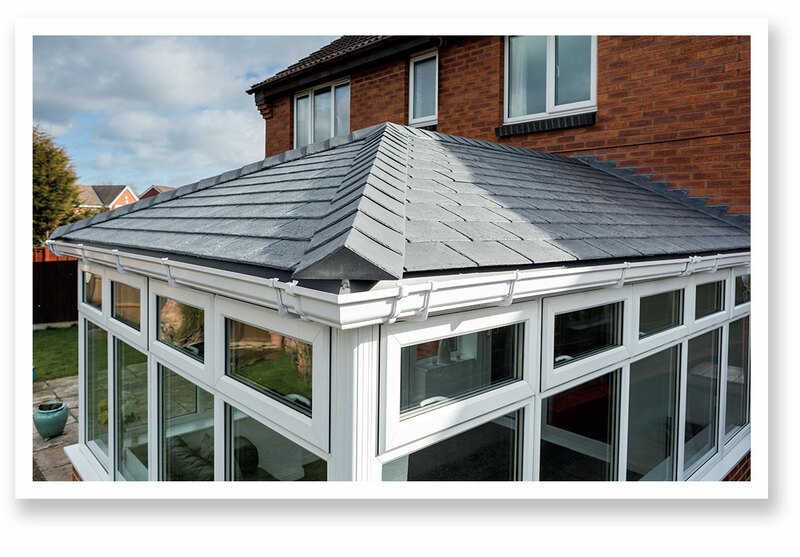 A new, beautifully tiled all-weather roof for your conservatory – there’s plenty to get excited about. Good looking, all weather lightweight conservatory roof tiles to suit your property. These attractive roof slates offer an authentic natural look without the risk of shattering, fading or cracking. Made from a blend of limestone and polypropylene, with moulds cast from real slate, they capture all the natural peaks and plateaux in superb detail. Based on the classic North American timber shingles, these simple and elegant, lightweight galvanised steel tiles are a popular choice with customers. 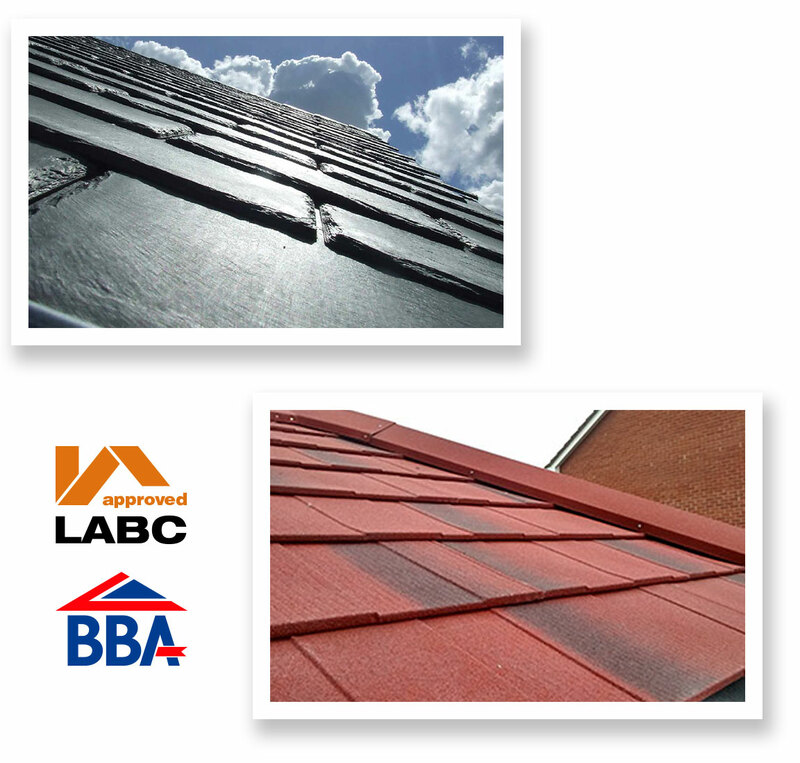 Not only do they look great, they can be fitted onto more or less any roof pitch. 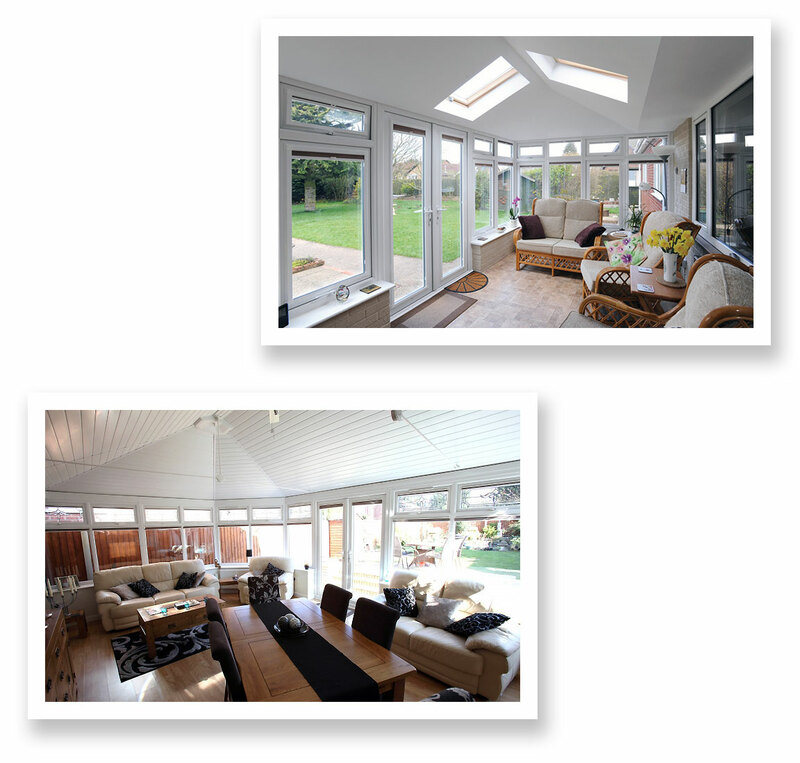 Complete the look with your choice of conservatory ceiling. We can even add downlights and genuine Velux windows to create your perfect living space – day or night. A new, fully plastered and insulated ceiling will make your conservatory feel just like part of your home. Treat it as you would any other room in your house and decorate it just the way you like. These affordable, UPVC tongue and groove style panels are suitable for any flat or vaulted conservatory. They look great and because they reduce heat loss by up to 90% in the winter, they qualify for the lower 5% VAT rate.